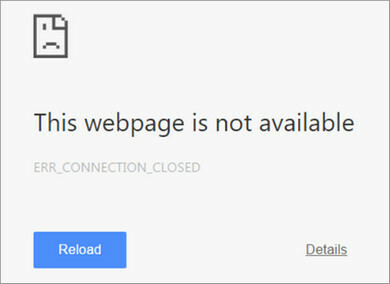 Google Chrome usually shows error messages whenever an issue arises with your internet connection or miss-configuration of your network devices. ‘Err_Connection_Closed’ is one of those errors but the good thing is that, it can be easily fixed in most cases. Follow the easy fixes given below to get rid of the Err Connection Closed issue in Chrome. In this method we will run some commands to fix the issue. Press ‘Windows Key + R‘ and then type in cmd in the Run box and hit Enter. Now type in the following command in Command Prompt, press Enter and then restart your computer. 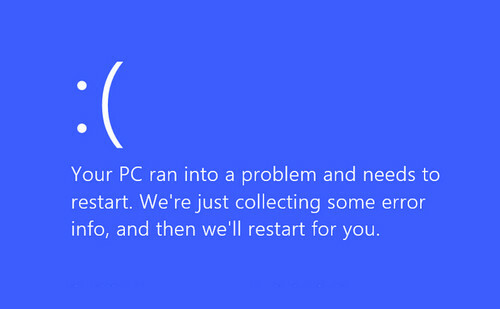 If it doesn’t fix the issue and type in the following command lines one by one and press Enter after each of them and then restart your PC again. At this point you can try clearing your Chrome browser cache and cookies. Click on ‘Customize and Control’ button on top right corner and then click ‘Settings’. Now scroll down and click on ‘Advance Settings’ then click on ‘Clear Browsing Data’. Now select ‘Cookies and Plugin Data’ and ‘Cached Images and Files’ then click on ‘Clear browsing data’ to finish clearing the cache and cookies. If none of the fixes given above work, then it’s time to change your DNS address manually. 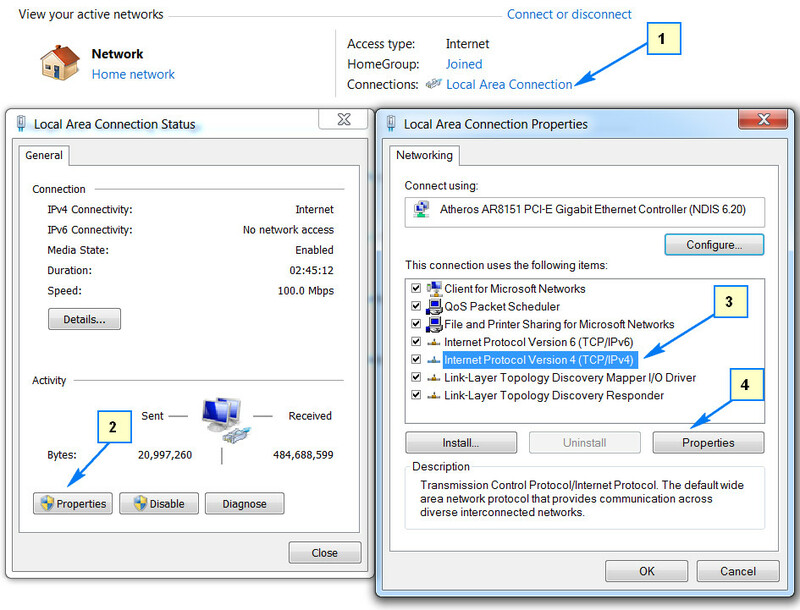 Start off by right clicking on your network icon from the bottom right corner of your desktop. Now click on ‘Open Network and Sharing Center’. Now click ‘Local Area Connection’ and then ‘Properties’. Afterwards select ‘Internet Protocol Version 4’ then click on ‘Properties’ again. 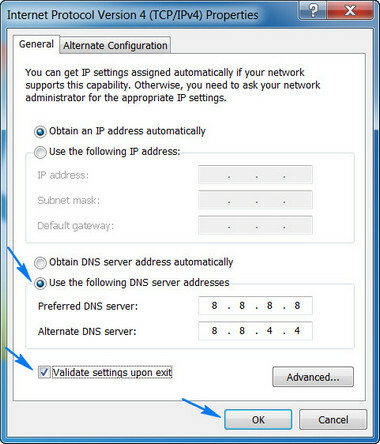 In the new window select the radio button ‘Use the following DNS server addresses’ and then in the ‘Preferred DNS Server’ type in 8.8.8.8 whle in the ‘Alternate DNS Server’ type in 8.8.4.4. Now tick the check-box ‘Validate settings upon exit’ and then click OK. This will change the automatically obtained DNS to Google DNS which is more reliable. I hope the fixes above was somewhat helpful and resolved the issue with the connection closed error. If it still doesn’t then please comment below with the details of the fixes that you have applied and I will try my best to help you further. Also let me know which fix worked for you. Sounds like your government don’t want you to access it. Tried all of the above…still get the same message on various websites. hi, how do the same command line procedure in linux?